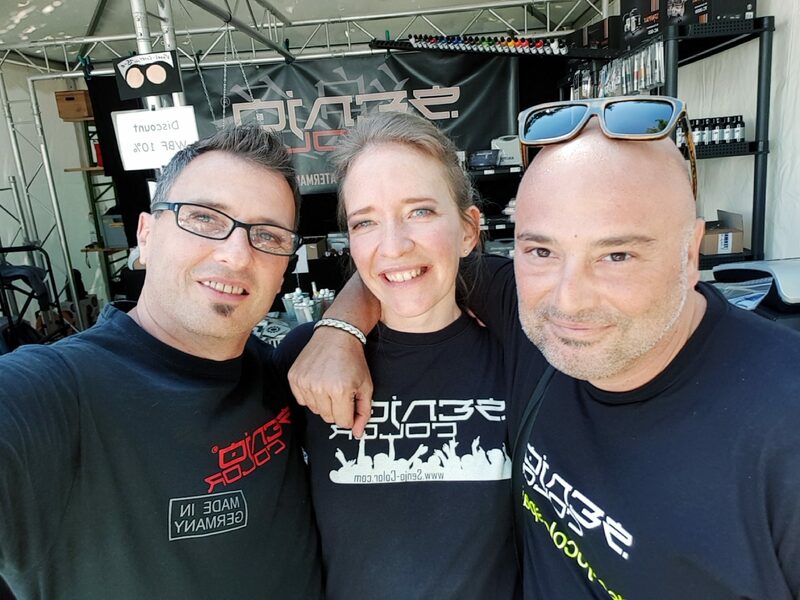 Meanwhile for the twentieth time we have covered the nearly 1,000km from Berlin to Carinthia in Austria to be part of the Bodypainting Highlight of the Year: the World Bodypainting Festival in Klagenfurt. 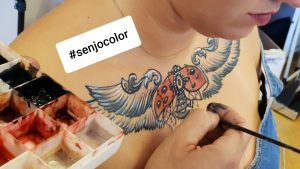 Here the scene of the body painters meets, here Senjo Color is not to be excluded any more. Countless old and new friends met at the colourful tent and exchanged ideas about the latest colours, trends and techniques. In advance, many artists took the opportunity to participate in one of our coveted workshops. 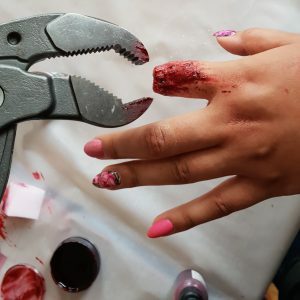 SFX Wound Representation and Fake Tattoos were in our program. We produce and sell theatre make-up with the focus on body painting and show make-up in Berlin. 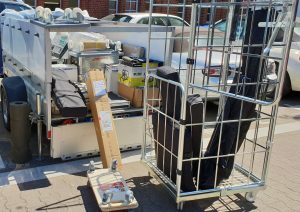 We have developed Senjo-Color products from our 20 years of experience and offer them online and here in the north of Berlin directly for sale.